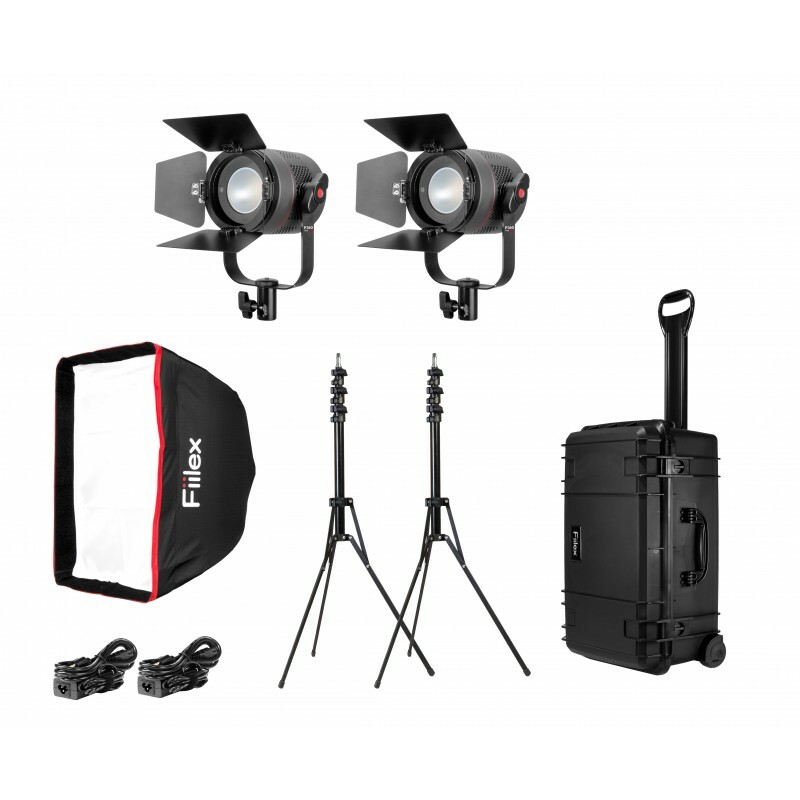 The K201 Pro Plus kit packs two P360 Pro Plus lights into the rolling K-Series travel case. Each 400W-equivalent P360 Pro Plus features tunable CCT (2800-5600K), intensity (0-100%), and hue (±0.25), making this kit perfect for users who require an extremely portable lighting setup that can match unpredictable ambient illumination. 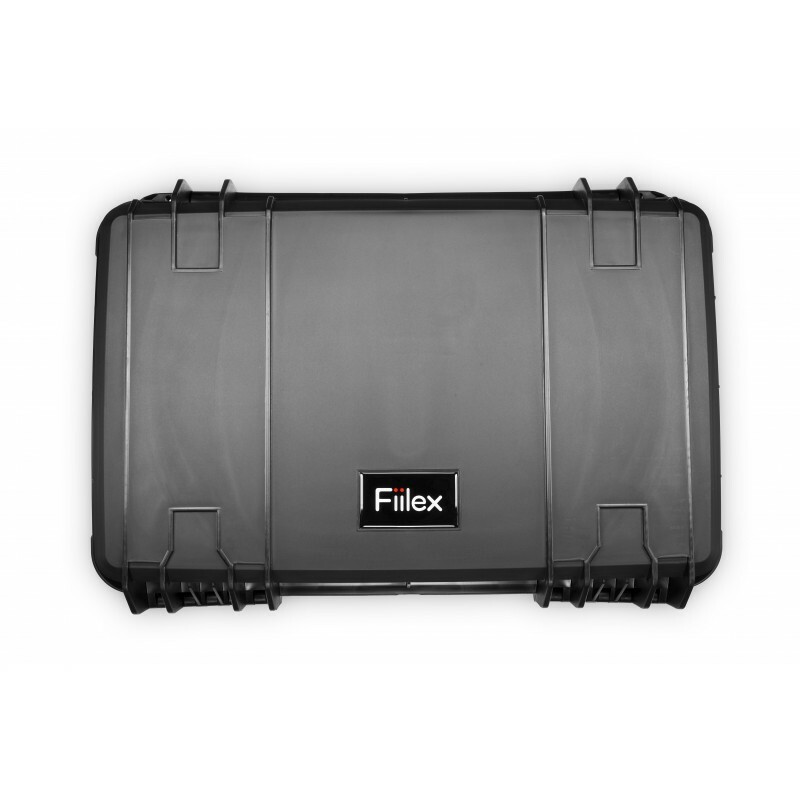 Included inside the kit are barndoors, light stands, and a softbox. 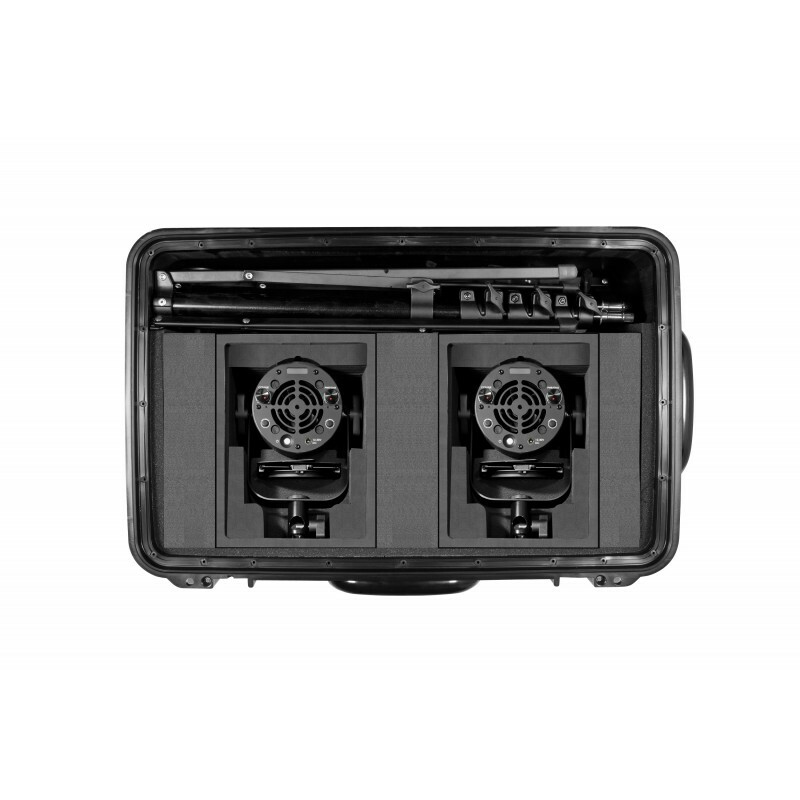 The K-Series case also has room for additional accessories and/or a third light, enhancing the portability of your setup even further.